What is spooking today's spooks? Bernard Besson, a former top-level French intelligence officer and the award-winning author of The Greenland Breach, shares some thoughts about spying in today's world. This list first appeared on Strand Magazine's blog. Click here to see the original article: The Top Ten Things Today's Spies Worry About. The “democratization” of spying. Intrusive technology used to eavesdrop, film, and track people and connected objects are for sale everywhere. Anybody can become a spy and set up surveillance at a very low cost. My neighbor, or my competitor, can do what the CIA, the MI6, or the French DGSE can do. Multispecialization. To stay on top of intelligence gathering today, spies need to be specialists in sound, images, big data, social engineering, shadowing, ghost surveillance, profiling, rare languages, and so much more. Selective knowledge is no longer enough. Stress. Levels of stress in the intelligence community have never been higher. Everyone wants to know if they are being fooled, followed, or listened to. Companies and agencies that employ spies are more and more demanding and know more than they did before. Corporations want to know about their competitors; consumer groups want to know about their car engines; athletes want to know if their opponents are doping. Robots. Big data has made robotization, or automation, a necessity. Algorithms are becoming the spies of the twenty-first century, while bipedal spies are being laid off. There are even machines to spy on other machines spying. Let’s hope the robots understand what is going on. Transparency. As citizens and consumers demand more transparency, governments and intelligence agencies face pressure to make data available to everyone. There are no more secrets. Nearly everything is public. Decision making. Power in the hands of a few causes anxiety. Political and economic decision-makers no longer know where the world is going. They no longer have time to read the massive amounts of information available and the contradictory interpretations of that information. They are looking for “hidden intentions” lurking in big data, and the experts contradict each other. Here, spies play a role akin to that of an ancient priest, or diviner, helping to make sense of the information. The role is therapeutic. The thirst for truth. As the general public becomes better and better informed, it no longer pardons the powers-that-be when the latter don’t know when a bomb is going to go off, if corrupt officials had certified the ship that sank, or if crooks manage the bank. Prior to disaster, forecasts are generally optimistic, but it is always the unforeseen that occurs. The unforeseen, which causes terror in business leaders and politicians, is the bread and butter of spies. The meaninglessness of information. In and of itself, information means nothing. It is the reader who can tell us something. Facing the competition from robots, spies survive because they are human and have personal experience. These qualities make it possible to perceive what is not said. The twenty-first-century spy is the one who hears the silences, who sees what is absent, who perceives the underlying signals, and who uncovers lies that are wrapped in truths. What we don’t know. Secrets are not found in information or in big data, but in what we don’t know, when we transform that into a question. Efficient spies do not look for information: they look for the answer to a question. The more skillfully crafted the question, the more strategic or decisive the response. A good spy can spend nine hours figuring out what he’s looking for, and an hour finding it. Collective intelligence. Today’s spy is someone who can lead a community of analysts and watchers. Explore numbers 8 and 9 in The Greenland Breach. And later this year, Bernard will bring us The Rare Earth Exchange for another look at number 4. 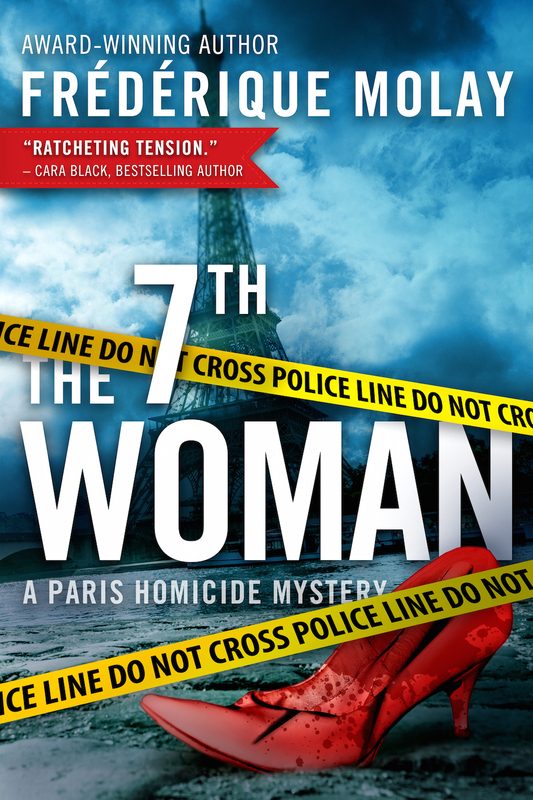 Check out our new covers for The 7th Woman and The Greenland Breach. Many thanks to Jeroen, our cover designer. Audible also released a a couple of new audiobooks of recently: The Collector and Mayhem in Margaux. Click below to listen to excerpts. I just learned that Google Maps street view has extended its coverage to parts of the vast country of Greenland (BBC news), so I thought it would be fun to do a quick Street View tour of some of the settings in Bernard Besson's The Greenland Breach. I found that much of the action that does occur in Greenland is set way off the beaten track, so no Google. 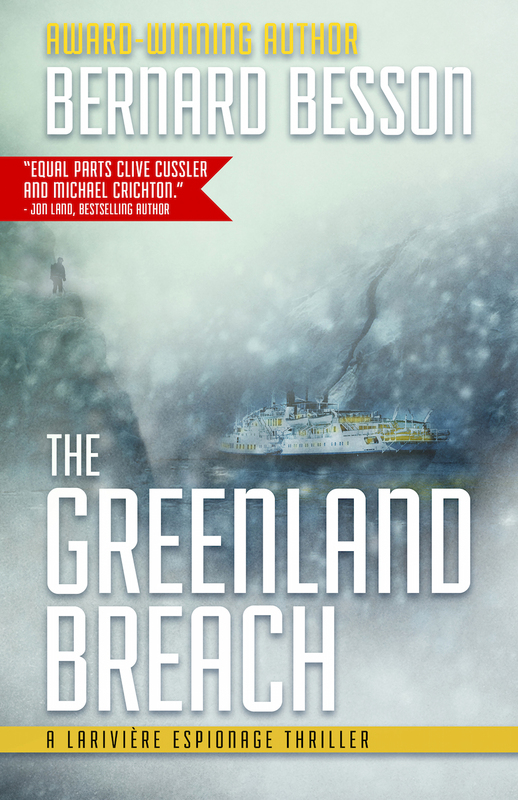 And for those settings I did find, we don't see the snow and cold we get in the book, but that's no reason to miss the ICE COLD THRILLER discount going on right now on The Greenland Breach ebooks (until March 9). Melting ice caps, spies, action... We're running another Goodreads giveaway. Click below to enter. Giveaway ends November 18, 2014. 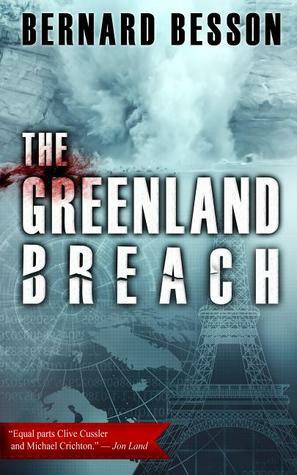 Bernard Besson, a prize-winning thriller writer and former top-level French intelligence officer, talks to us about The Greenland Breach, a novel about the real consequences of global warming. It’s got a cracking ice cap, rival multinationals and cutthroat espionage. Available in translation next week. Do spy novels have anything to do with real espionage? And do spies from good spy novels make good spies? The other day, I ran across an article in the Huffington Post by a former CIA agent who discusses James Bond and Jason Bourne and the reality of spy work.